We are proud to proclaim that real estate in H-Town is really booming now, and we like to pride ourselves on the fact that we can take some credit for that. Not only can we offer the best hard money loans in Houston, TX, we also offer other types of alternative real estate financing as well. When the bank says no, we can say yes! Residential Mortgages: There are a number of reasons that borrowers cannot use traditional real estate lenders like banks and mortgage companies. Real estate investor loans: If you just found the perfect real estate to invest in, get financed fast before somebody else grabs it. Commercial and residential bridge loans: Business may need to wait for conventional financing or investors, but business needs can’t always wait. What is a Bridge Loan from a Houston, TX Hard Money Lender? A bridge loan provides an alternative financing solution for real estate deals. Typically, these are short term loans that are meant to retain a property until the borrower can either secure permanent or long-term financing or discharge another type of obligation..
Bridge loans in Houston are usually short, about one year in length, but they may be renewed if the need lasts longer than the original term and the borrower has made payments in good faith. You can see that these Houston bridge loans actually bridge the gap between needing financing and having a more permanent source of financing come through. Commercial financing: In some cases, companies need to wait for investor financing to come through, but they can use a bridge loan from a Houston hard money lender to buy commercial property they need to run their business. Residential mortgages: In other cases, individuals may not have good enough credit to apply for a bank loan, and they can use a bridge loan from a Houston hard money loan company to improve their credit or buy time until they can sell a home or other type of property that they own. 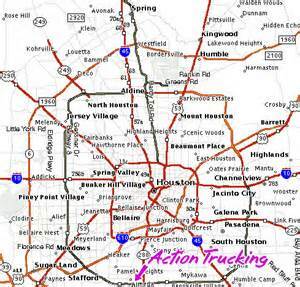 How Do Houston, TX Hard Money Loans Work? Typically, Texas hard money lenders offer to lend money for some percentage of the value of the property that you intend to purchase. That amount of equity in the property is their collateral against default. Additionally, hard money loans tend to have somewhat higher interest rates than the ones offered by mortgage companies, banks, and other financial institutions, and they are typically used by both business and individuals when traditional lenders are not an option because a borrower has poor credit, gets overextended, or needs money very quickly. Do You Need Fast Cash from a Houston Hard money lender? The advantages of hard money loans in Houston is that they are very fast. Often, borrowers can get an answer within hours and days, and they can also have the money they need rapidly. Traditional mortgages can take months or even years to get processed and approved. They are a source of mortgages for poor credit borrowers who cannot qualify for a bank or mortgage company loan. Hard money lenders in Houston may use some other sources of information, but they tend to base a big portion of their acceptance decision on the value of the property that will be used as collateral, and they do not base them solely on credit scores.